When WPBS-TV begins airing its new season of Whiz Quiz in the fall of 2018, viewers will see some new podiums for the show’s participants. Those podiums are courtesy of the hard work put forth by students in the Building Projects class at the Charles H. Bohlen, Jr. Technical Center. Work began on the new podiums back in November and was completed in May. Instructor Adam Ortega says students started from scratch and looked to improve upon the design of the existing podiums. 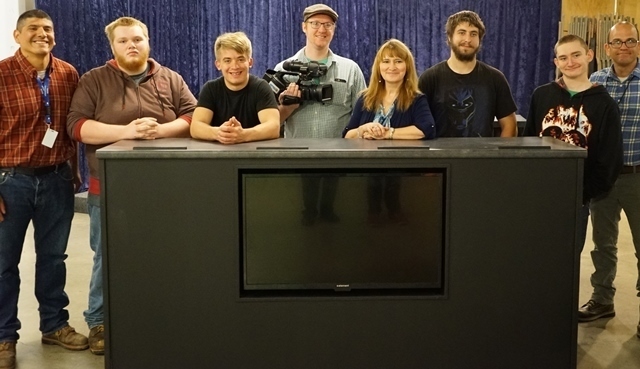 The new podiums were personally delivered to WPBS by the students. New episodes of Whiz Quiz are expected to air on WPBS beginning in late October 2018.